Decided last week that I would use color for the next painting. 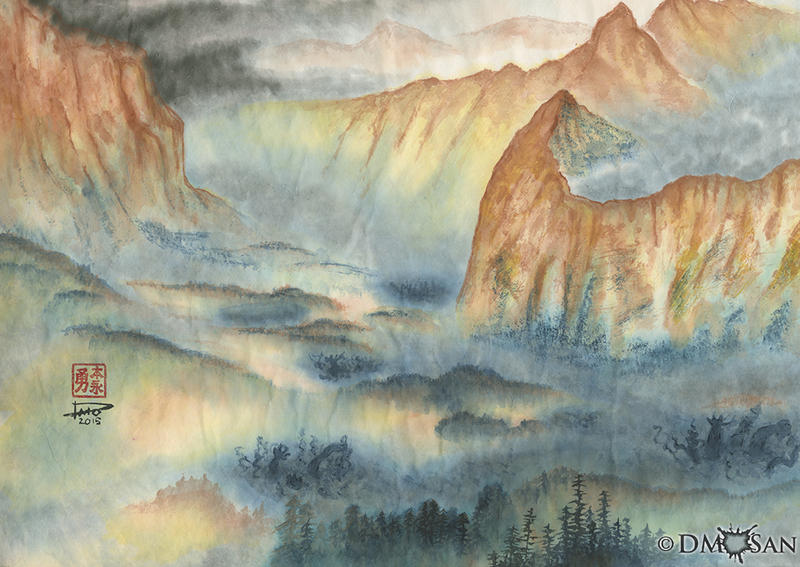 After a complete nonsense painting trying out a different brush I decided to try one of the examples in Lian Quan Zhen's book, Chinese Landscape Painting. So this landscape composition is not original but I decided to add my own twist to it. This is certainly one of the more detailed paintings I've done in a while. I really like the depth layering of the trees at the bottom.